To go with the celebration of heartspark’s 20th anniversary, Parts 2 and 3 of the Ignition Series just got a whole lot better. Relax into Success and the Alumni program are now ongoing mixed-media classes—combining 3-hour meetings every 4 weeks with an interactive communication app to keep in touch in between. 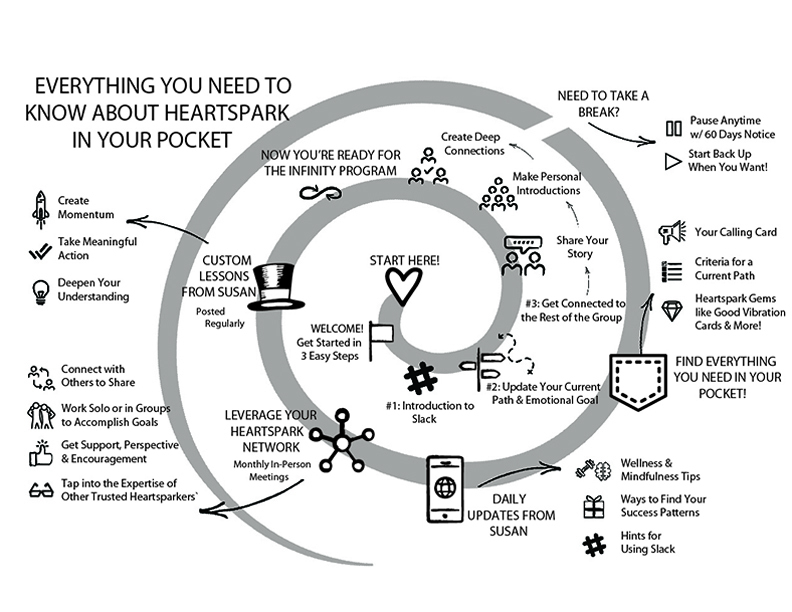 What is heartspark in your pocket? Revisit your current path and emotional goal in a new way. 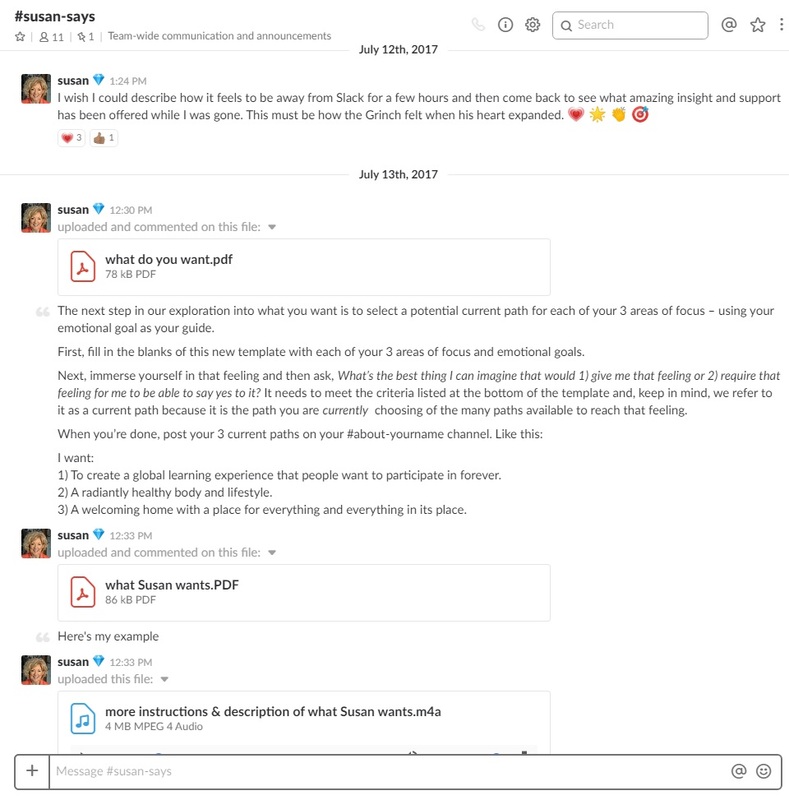 Receive an easy introduction to Slack, the interactive communication app. Get a personal welcome from everyone in your class and share your story. Get regular updates from me, the rest of your group, tips and resources, and plenty more heartspark gems. Join your monthly 3-hour meeting in person to keep your momentum up and your heart full. You get to choose when it’s “heartspark time.” Set your notifications however you like, log on whenever you like, and spend as much time on Slack in between your monthly in-person classes as you like. Some people are “chattier” on Slack than others, and some people check in only once in a while. There is no “wrong” way to do it, we just ask that you’re all caught up on updates in time for your monthly meeting. Since you decide when to check in, you get to decide how much time you devote to it! Again, there’s no wrong way to do it. The great thing is that you’ll have more opportunities for inspiration with daily updates from me, custom lessons every other week, and constant support from your fellow classmates. And I can share gems and expertise in between heartspark in your pocket groups, so your network of support will get even bigger! You know that warm feeling you get when you know someone is cheering you on? That’s what you’ll have all the time with heartspark in your pocket. Having a tricky day? Ask your group for extra support. Got some good news to share? Now you don’t have to wait until the next class to tell us all about it! And since these are ongoing classes, you’ll develop genuinely strong connections with your classmates that can last a lifetime. Still have questions? 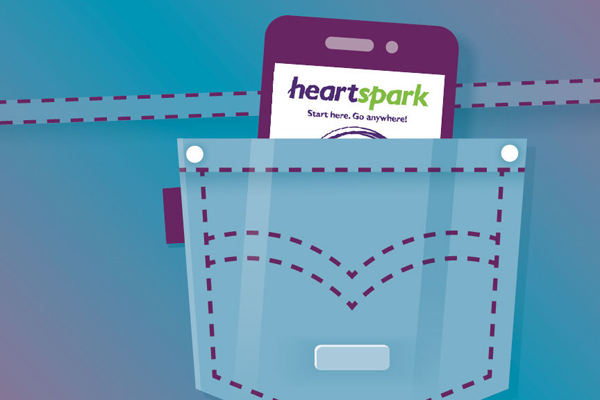 Check out this handy dandy FAQ page about heartspark in your pocket. Sign up for these upcoming heartspark in your pocket classes now! Aready taken Relax into Success? Experience it again or an Alumni program is ready and waiting for you too. The choice is yours!